COCOA BEACH, Florida - A juvenile dolphin entangled in rope that was spotted by Wildside Tours swimming in the Banana River over a month ago off of Cocoa Beach, Florida was finally freed by SeaWorld animal rescue workers with the help of personnel from Florida Fish and Wildlife, Georgia Aquarium and NOAA Fisheries. The first attempt to free the dolphin failed two weeks ago when the calf's mother became protective and aggressive towards rescuers. According to NOAA, entanglement can cause decreased swimming ability, disruption in feeding, life-threatening injuries, and death. 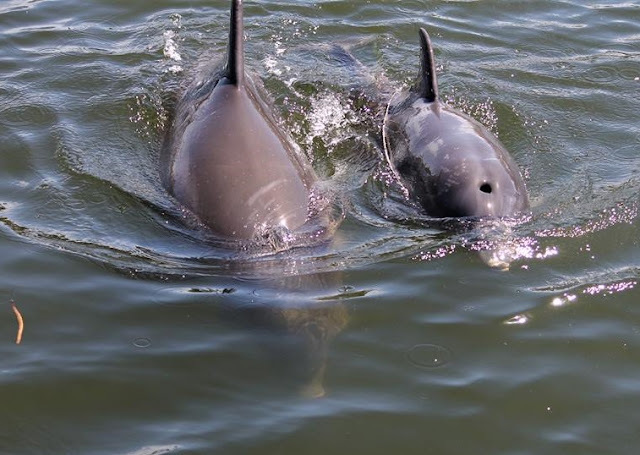 Approximately 11% of wild dolphins captured for study bear indications of prior entanglement. 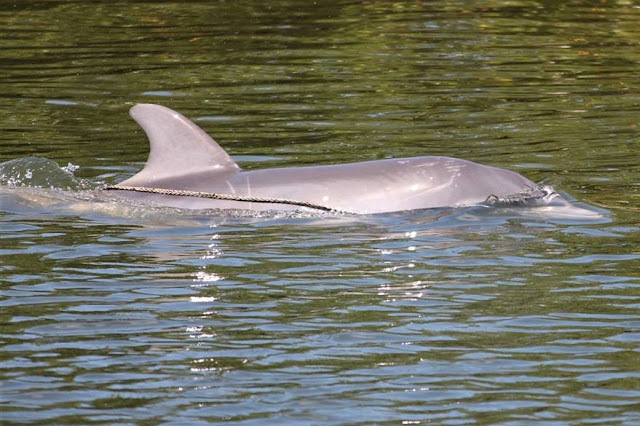 Researchers consider the Indian River Lagoon as one of the "hot spots" in Florida for bottlenose dolphin entanglements.